Any day that I get to use the Free Spirit roses is a good day. Vicky and Monica loved them, too and we sprinkled them liberally around the Garden Room. 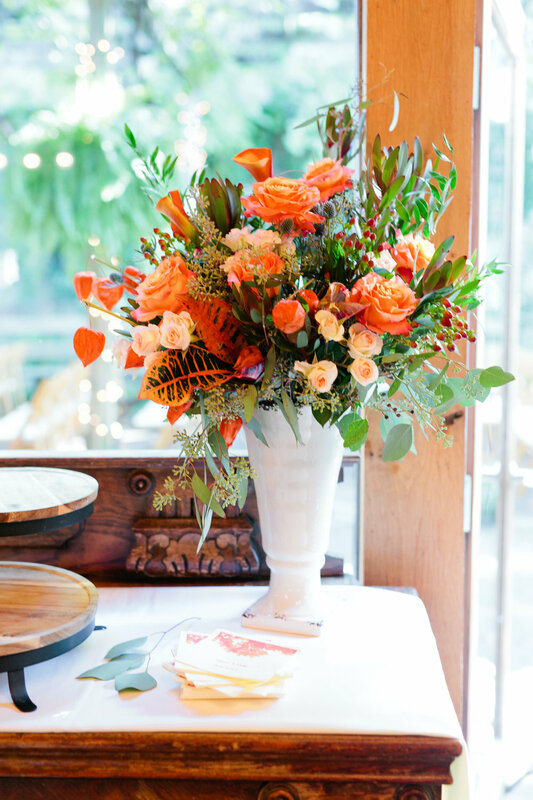 Paired with orange tulips and Flame calla lilies, it was a VIBRANT wedding for two lovely ladies. I snapped a couple photos myself as we were setting up. 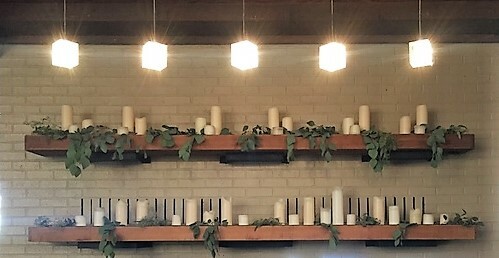 Decorating the mantle at the Garden Room is one of my favorite things...and those Free Spirit rose--LOVE! Succulents are still popular! 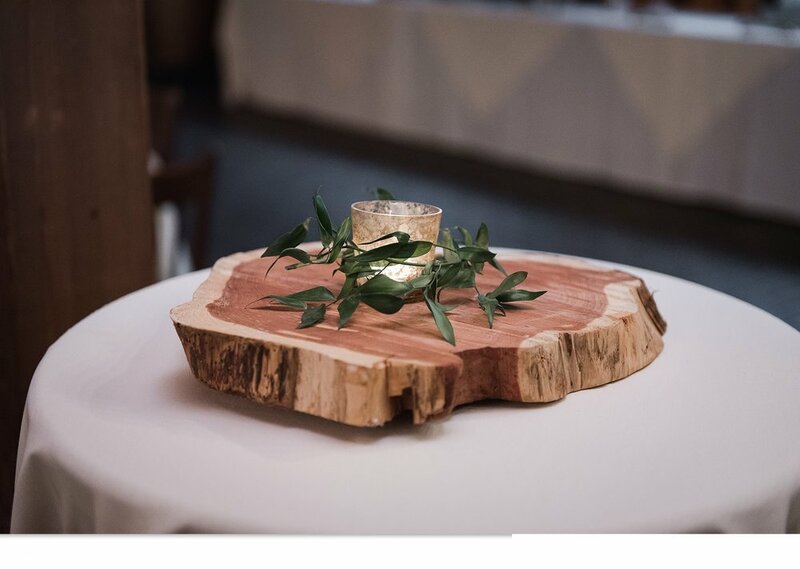 Katie and Max used succulents to accent the organic foliage we placed on the tables, along with candles. The personal flowers featured a mix of antique carnations (LOOK at that color! ), roses & eucalyptus...plus muted lavender satin ribbon. 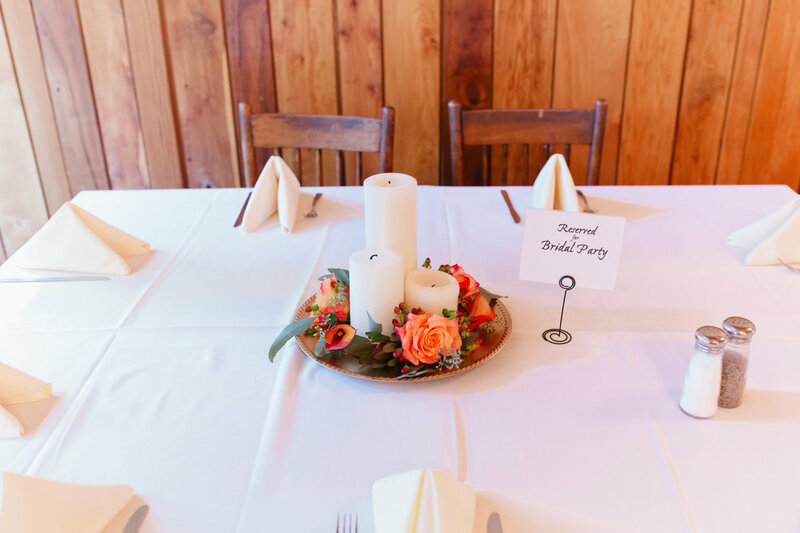 This wedding also shows off some of the draping options we have, which is perfect for the Garden Room, but works at other venues as well.